"Team arrived on time. I found some parts that they were missing, talked to Mark and he offered me a free clean after we move in. He is so responsive and I will definitely change from 4 to 5 star after the second cleaning. Overall, I would recommend this team only and only because of Mark who cares a lot to customers." "I was really impressed with the service provided. They ladies were professional and paid attention to details for my cleaning request. I will differently use this service again." "Mark was a pleasure to deal with, did everything in his power to assure that I was satisfied with the work his team provided. I will recommend or use his services again when needed." "Beyond my expectation! Very happy! Cleaned walls as well, which I did not ask, but they did as extra. Mark is very friendly, polite, and professional." 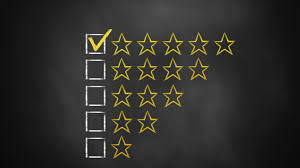 "Based on a good initial conversation with manager, Mark, I had a very good experience with the service provided. Staff were very prompt, very professional and listened to what I wanted. Most of all, they went out of their way to complete the job even if it took them longer than anticipated. I would highly recommend this team." "The ladies were professional and kind spirited very respectful . They got things done in a timely manner and I plan to use their services again"
"Mark was exceptional to deal with. He's honest, accommodating, very reasonably priced and polite. He stopped by my apt to check in and make sure everything was being done correctly. I requested the top of my fridge to be cleaned and he went the extra mile to move my fridge and clean behind it! A few areas in the kitchen needed more attention and he offered at no charge to return on a day of my choice with a more heavy duty cleaner. I always appreciate anybody who goes above and beyond what they promise. That's the type of business I always return to. Looking forward to having Mark & his team again!" "They were awesome! I will setup weekly services!" "Good experience, Mark and the crew is professional and efficient." "Silver Water Solutions is a GREAT company. They were very attentive and extremely thorough. Will definitely be using them again!!" "Kiesa did a great job. She was very detailed and took her time to clean all the areas. They were very punctual and had all the supplies needed for any time of surface. My home was left clean and it smelled so good. I an definitely going to call them again." "Mark and his team were very professional. They showed up on time and cleaned to our expectations at a real value. He even came back just to make sure the oven was cleaned properly. Great Job!" "Excellent job and very professional all around! I'll definitely use them again!" "Silver Water Solutions Inc. has an extremely professional and accommodating staff who provided a very economical service with attention to detail and the personal requirements of the client. The area to be cleaned was somewhat challenging and required extra detain and good old "elbow grease." They accepted the job without hesitation and did the best that we could hope for. I was very satisfied." "Very thorough cleaning provided. The cleaner made suggestions for a deeper cleaning for the next time with same quote. Very reasonable in quote and open to all cleaning options."